The young French prospect will try himself on a higher level playing for Limoges. The 2018-2019 EuroCup participant Limoges CSP officially signed the 17-year-old forward Sekou Doumbouya who averaged 8.5 points, 4.2 rebounds and one steal for Poitiers in French ProB League last season. Limoges CSP announced on Monday the signing of teenage forward Sekou Doumbouya, who is among the top players his age in the game. 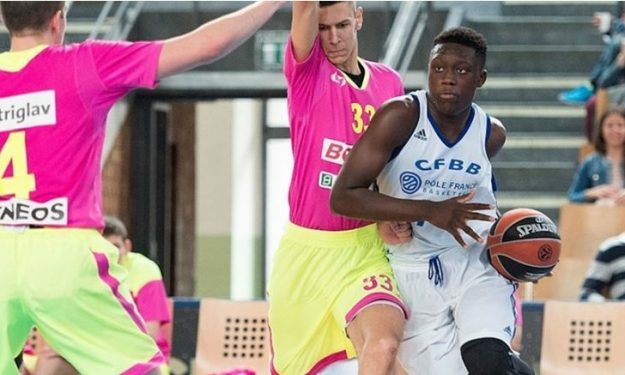 Doumbouya (2.05 meters, 17 years old) is a product of the famed French national youth academy INSEP and he played the past two seasons for Poitiers Basket 86 in the French second division. He averaged 8.5 points, 4.2 rebounds and 1.0 steals for Poitiers last season. Doumbouya dominated the youth categories; he helped France to the gold medal at the 2016 FIBA Europe Under-18 Championship as was named to the all-tournament team. Doumbouya competed with INSEP at the 2016 Adidas Next Generation Tournament Finals in Berlin, where he won the Turkish Airlines Slam Dunk Contest.